Rhode Island has a factsheet on the commercial provisions of the 2012 IECC. The state is also developing a commercial stretch code. Applies to detached one-and two-family dwellings and multiple single-family dwellings (town houses) not more than three stories above grade plane in height with a separate means of egress and their accessory structures. Amendments include the continuation of the 2009 insulation table for building envelopes, and the stipulation that every new residential building must undergo performance testing, but does not need to achieve specific performance target levels in order to receive a certificate of occupancy. Detached one-and two-family dwellings and multiple single-family dwellings (town houses) not more than three stories above grade plane in height with a separate means of egress and their accessory structures shall comply with the 2013 Rhode Island State Building Code. 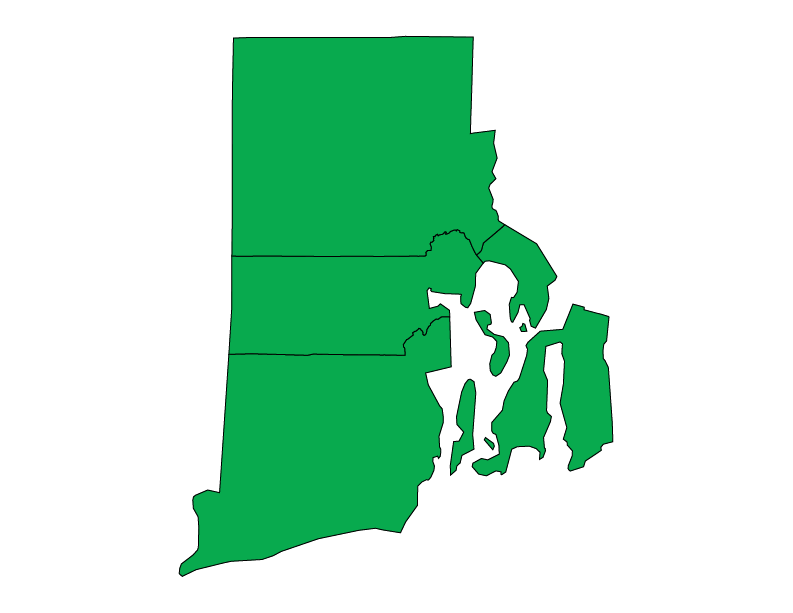 Rhode Island has a factsheet on the residential provisions of the 2012 IECC. Regulatory: The State Building Codes Standards Committee (SBCSC) is responsible for adopting and amending the state building code, including the energy code. Governor Gina M Raimundo signs Executive Order 15-17, directing the state to establish a stretch energy code usable by both public and private nonresidential buildings by 2017. Rhode Island adopts the 2012 IECC as its state building code together with certain amendments. Amendments include the continuation of the 2009 insulation table for building envelopes, and the stipulation that every new residential building must undergo performance testing, but does not need to achieve specific performance target levels in order to receive a certificate of occupancy. This code is effective as of October 1, 2013. The State Building Commission adopts the International Green Construction Code (IgCC), making Rhode Island the first state in the nation to do so. Rhode Island follows the City of Richland, Washington, which became the first local government to adopt the IgCC in August. The IgCC applies to new and existing, traditional and high-performance commercial buildings and includes ASHRAE Standard 189.1 as a jurisdictional compliance option. The Rhode Island Green Buildings Act identifies the IgCC as an “equivalent high performance green building standard” to which all qualifying public projects must be designed and constructed. The Act applies to any public project that is owned, leased, or controlled by the State of Rhode Island, including new construction projects larger than 5,000 gross square feet, or renovations involving more than 10,000 gross square feet of occupied or conditioned space. The Rules and Regulations to implement the Act took effect this month. After the May 2009 passage of HB 5986 directing the Rhode Island State Building Commission to update the 2010 Rhode Island State Energy Conservation Code (previously based on the 2006 IECC), the new non-residential code the 2010 Rhode Island One and Two Family Dwelling Code becomes effective. It is based on the 2009 IECC and ASHRAE 90.1-2007 with Rhode Island amendments. Detached one-and two-family dwellings and multiple single-family dwellings (town houses) not more than three stories above grade plane in height with a separate means of egress and their accessory structures shall comply with the 2010 Rhode Island One and Two Family Dwelling Code. Chapter 11 allows builders to demonstrate compliance through the 2010 Rhode Island State Energy Conservation Code. Existing buildings undergoing repair, alterations or additions and changes of occupancy shall comply with the provisions of this code or the State Rehabilitation Code SRC-1-2010. Gov. Donald Carcieri signs SB 232 into law as Public Law No. 2009-212. This law will mandate at least a USGBC LEED “Certified” rating (or equivalent green certification) for public buildings and schools that enter the design phase after January 1, 2010. This includes all new facilities in excess of 5,000 square feet and all renovations in excess of 10,000 square feet. S 0863 is introduced. This legislation compels the state building standards committee to adopt an energy conservation code, which shall be based on appropriate nationally and internationally recognized models, and to promulgate and administer the energy conservation code. H 7884, the Rhode Island Global Warming Solutions Act, is introduced.